Himalaya Men Intense Oil Clear Lemon Face Wash is a soap-free, herbal formulation that gently cleanses your face and removes excess oil. It is enriched with Lemon and Indian Willow which help clear excess oil, impurities and pollutants. Indian Willow bark extract is rich in polyphenols which are known to exert skin conditioning and protectant activity. The plant possesses antimicrobial and astringent properties as it is rich in tannins. Indian Willow has been traditionally used to quicken wound healing and treat skin diseases. Lemon peel extract is a well-known astringent. Rich in flavonoids, Lemon exhibits remarkable shrinking and absorbing properties, enabling the fruit to remove excess oil. It also possesses potent antimicrobial and cleansing properties. 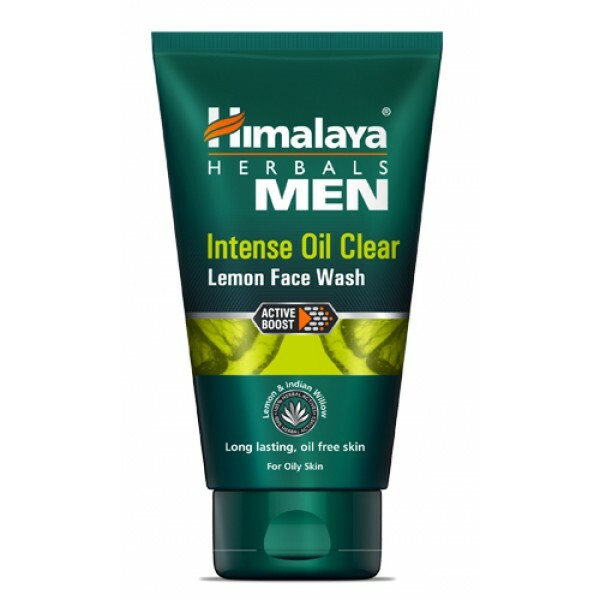 Apply Himalaya Men Intense Oil Clear Lemon Face Wash on a moist face and massage. Gently work up a lather using a circular motion. Wash off and pat dry. Use twice daily.